This procedure details the various forms of Work Based Learning e.g. 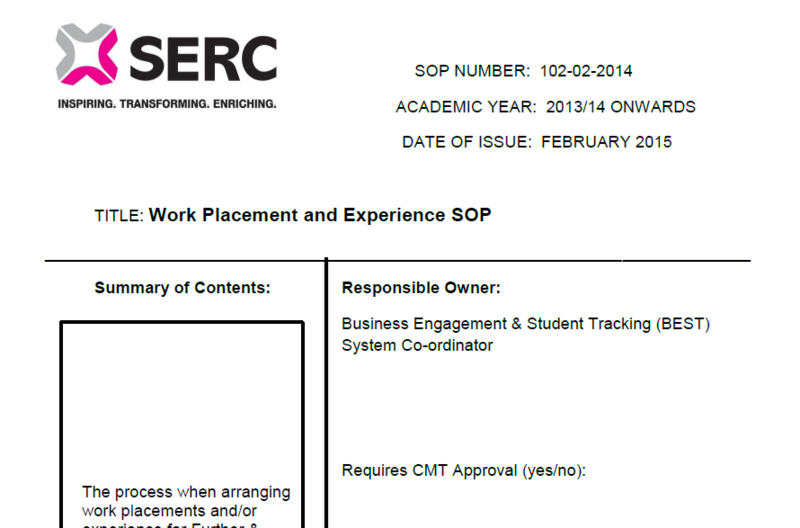 short Work Experience, longer paid or unpaid placements and Apprenticeships (definitions are in the document). This document aims to ensure all VET Provider staff working with Placements are aware of the procedure the VET Provider has provided. It also ensures students are placed in safe, secure and caring environments which support their qualification and help them to learn and develop new skills and ‘life skills’. Staff should receive guidance on the procedure through Staff Development and the document made available to them in hard copy and online on the VET Provider intranet. These procedures will be reviewed annually (and amended if necessary) to reflect changes in circumstance or legislation. 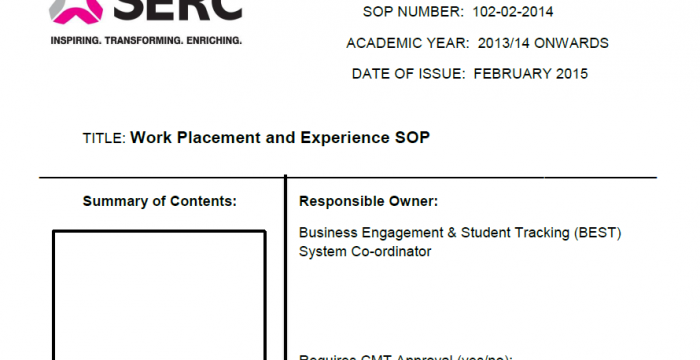 VET Provider staff must follow the procedure when placing students with Employers.